"The supplements are not really working for "X" at this stage- he feels they are making him sick. Since commencing the program he is feeling worse, tired and lethargic. He said he felt way better before taking them. Is this possible? I suggested he just take half of them. I’m sure if he is telling himself he hates the pills, then his body will reject them! How "X" is feeling is not unexpected. The profile for "X" indicates he is dirt rock bottom in many nutrients, as well as having a number of significant imbalances that cause symptoms such as lack of energy, poor digestion, insomnia, muscle weakness and generally not feeling well. In his case I would expect these symptoms to be quite severe at times and this pattern will continue for as long these imbalances and general state of depeletion persists. He also has quite high levels of mercury, lead and aluminium. While they are within the "reference range", we have to take account that he is running close to empty on most of the "healthy" minerals. 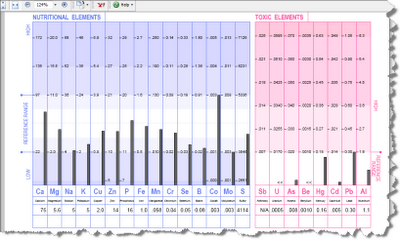 Toxic metals pair off in the body with minerals like iron, zinc and selenium. Along with sulphur and various vitamins such as vitamin E, these minerals help neutralise toxic metals and assist the liver with excreting them by rendering them partially soluble. Incidentally; low levels of sulphur, zinc etc may help explain why he has had an accumulation of these heavy metals in the first place. The other factor, of course, is exposure to these metals through work and food (tuna, for example). Now that he is taking all those dietary supplements with the right balance of trace nutrients, including vitamins, and changing his diet as per the report guidelines, it is quite likely that these heavy metals which are sequestered in tissue like fat and bone are now being pulled out into solution. As his Hair Tissue Mineral Analysis report warns, there may be a temporary flare-up of symptoms while these toxins are mobilised and removed. It may be weeks, if not months, before he begins the upward climb. The process of restoring and maintaining health and fitness can be regarded as being similar to the sharemarket (refer chart). There will always be ups and downs, some sharp and some deep. It pays to focus on the overall trend as the months and years tick by and not be distracted or too despondent each time there is a dip in progress. Of course, attention to lifestyle and nutrition will reduce the number of dips and level out the troughs while accentuating the ups. In answer to your query about halving the dosages: The answer is a resounding "YES!" Drop the dosages by half while sticking to the diet plan, once symptoms abate sufficently, increase the dose back to the recommended levels. 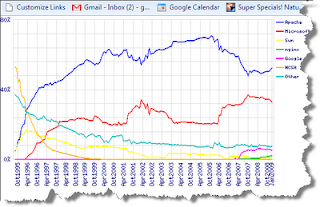 Give the programme three months of steady attention with regualr reports to me. At about three months we will sit abck and review progress and take it from there! their cobalt is quite high. while it is an essential nutrient, at this level it becomes very toxic to the body, there may be some poisoning sources, it was popular to use cobalt in beer to help it keep a good head. While it is tending on the high side, the real problem is relativity to the other minerals which are low to very low. Without knowing for sure the source of the cobalt, the strategy is to pull up levels of the surrounding minerals through diet adjustments and supplementation.